Visitors to Mexico City not wanting to check into an impersonal "Big Box" hotel when visiting this ancient Aztec capital, need look no further for the perfect "home away from home," thanks to the recent addition of the chic "Flat and Breakfast" to the roster of 5-Star accommodations. The Flat is conveniently located in the Col. Cuauhtémoc, one block from Mexico City's iconic Angel de la Independencia ("The Angel") and two blocks from well known Paseo de la Reforma, location of many of the city's finest museums, art galleries, boutiques, restaurants and myriad tourist attractions - including the legendary Chapultepec Park and Castle. 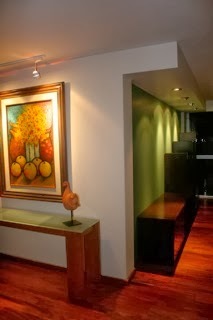 Also nearby, is trendy Polanco - home to designer boutiques, chic eateries, 5-star hotels and ultra modern shopping centers. 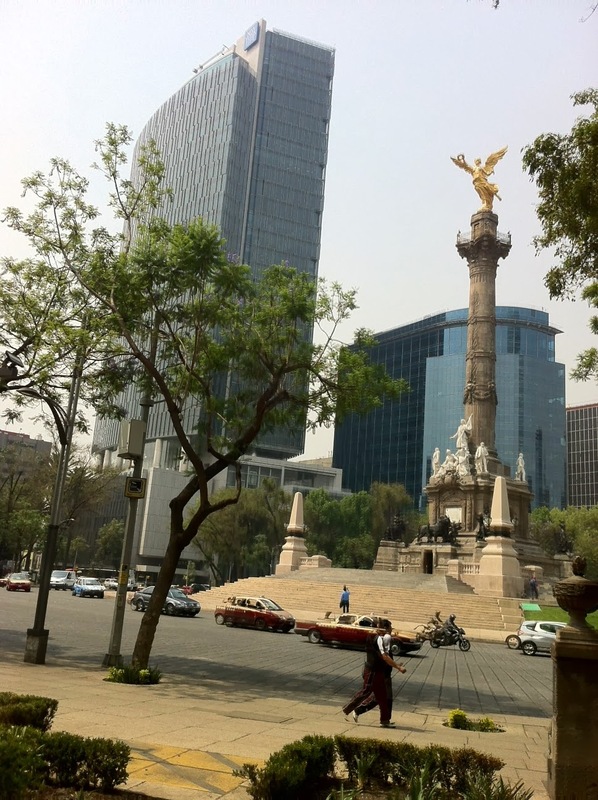 A short taxi-ride away is the Historic Center and the Zócalo - legendary "Halls of Moctezuma" and hub of the ancient Aztec Empire - as well as Bellas Artes Palace and the storied Alameda Park. The Flat is completely furnished, lending a truly "at home feeling," with two bedrooms, two-and-half baths (designer amenities included) and a living and dining room. The "flat" is close to the US Embassy and tucked into a small secure building whose ground floor is home to the renowned Curryer Chocolates, which has been crafting the finest confections in Mexico City since 1919. 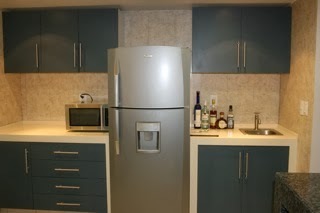 Guests of The Flat receive a 50 percent discount at Curryer's on a variety of gourmet coffees. The apartment suite offers a king-size Master bedroom with large desk, walk- in closet and private bathroom with shower and deep Jacuzzi. A second bedroom has two oversized twin beds, full bath with shower stall, walk-in closet and in-room safe. The tastefully appointed living area offers plush leather sofa and love-seat, large LCD flat screen TV, DVD and large dining area. A fully equipped kitchen includes granite counters, microwave, dishwasher and wet bar. Also included are a washer and dryer, high speed Wi-Fi, free long distance telephone to the US and Mexico and SKY HD satellite international TV service. Indoor parking is available for one vehicle and a doorman is onsite from 7 a.m. - 7 p.m. Housekeeping service includes replacement of towels and sheets as needed and Continental breakfast. Also available for a nominal fee: laundry and ironing services, grocery shopping, dry cleaning and arrangement of transportation services. 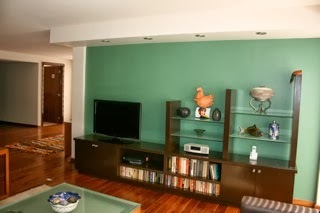 Drawing on the Mexican adage: "Mi casa es su casa," (My home is your home), The Flat is perfect for families and up to four guests for short - or extended stays. For visitors traveling to Mexico for medical purposes, the apartment is less than 30 minutes from some of the country's best, US-affiliated hospitals. 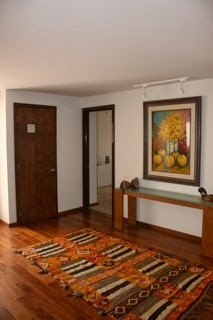 Daily rates start at $175 USD per night, based on double occupancy. Additional guests pay an additional $25 each per night. 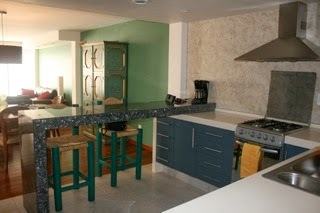 This is a "smoke-free" apartment and can accommodate up to four guests. For more information: email: traveltwin@aol.com, or call: (860) 632-1911. Wow this place sounds AMAZING! We book many weddings in Mexico and often times our couples tack on days in Mexico city pre/post wedding. We will be sure to keep this in mind and recommend to all of our clients who travel through the city. Thank you for the amazing find-- this certainly sounds like a hidden gem! Thanks for checking in. Indeed, this is one of the City's best kept secrets. It is a true gem. I'm so glad I found it! I'm always looking for wonderful places to write about. You say: "Daily rates start at $175 USD, based on double occupancy." Does that mean the rate is per person per day? Those rates are per night, for two people. Rate goes up if there are three or four. It's a really good deal! It really is a wonderful place. Do spread the word! 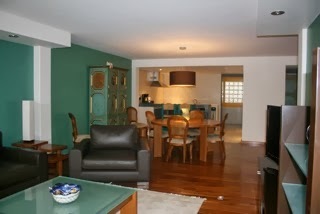 I agree with Irene, it looks like it would be a great home base for a week in Mexico City (or longer). We visited la D.F. in 2012. I hadn't been there since 1964 when I was 10 years old. We felt very comfortable there. We stayed at a B&B in the Condesa neighborhood. It really is a nice alternative to an impersonal hotel. Wish I could check in there and just "escape" for awhile!